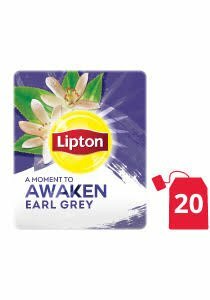 Lipton Earl Grey Tea has a rich taste of black tea with bergamot that will wrap you up like a soft, warm shawl. The tea bags are packaged in envelopes, so you get the same crisp taste and aroma - from the first tea bag and the last. Try it with dark chocolate.